Enjoy the ultimate in Riverfront serenity with a touch of Key West in this Stone Trimmed approximately 2000 square foot home. 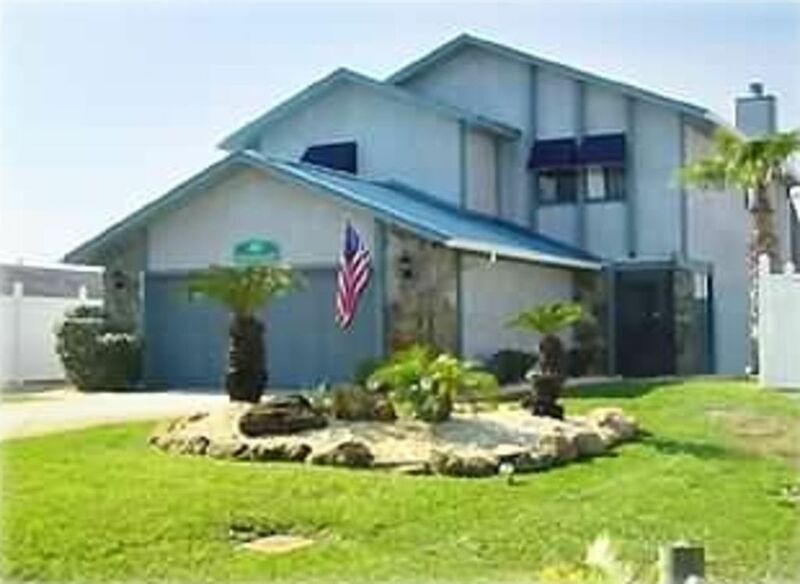 This two-story home is situated between one-story homes so as to increase your views. This Non-Smoking home has all brand-new furnishings, appliances, etc. The main level offers a 16' X 23' living room with a stone fireplace and tropical window treatments. A 12' X 13' dining area coupled with an 11' X 13' contemporary island kitchen, half bath and laundry/pantry completes the layout which leads to a screened-in heated pool and patio area (renter pays to heat pool and spa). The upper level offers two guest bedrooms with guest bath, a 14' X 17' master suite, dual sink vanity, walk-in closet and beautiful master bath. A 30' X 6' covered deck allows ultimate views from two bedrooms of your adjoining river and wetlands which is home to tropical birds, dolphins, manatee, etc. Beyond the 29' X 40' screened pool/spa area is an 8' X 40' deck leading to a 200' dock with a 20' X 40' boathouse with electric lift and fish cleaning station. Watch Virtual Tour below owner info. Big Screen TV, Private 6 person TIKKI BAR !!! !, Outdoor Sound System, EMAIL ME FOR UPDATED PHOTO'S OF THE HOUSE!!! Location was great! House was clean! Having access to garage was great. Beautiful evenings with sunsets. Nice neighbors. Dock was in excellent shape. Loved the extra sundeck too. Would definitely stay again. Neat, clean, convenient! We could have stayed at the house for the whole trip. Pool was great, dock was wonderful and the ocean was 1/2 block south and 2 blocks east, directly to a beach access point with plenty of parking. It was also a very private setting, never bothered by anyone! I LOVED the pool...Great Location! I really enjoyed my stay at this house! The location is great and it is exactly as described. I LOVED the pool…it cost extra to heat but it was absolutely worth it. I stayed in December and the weather cooperated during my stay, in fact the temperatures were above normal!!! Everything was as stated. Also somebody made an extra effort to get us propane when the tank ran out. Much appreciated. A big bonus is that the house is only 5 down from Boondocks Retaurant which is a favorite.